If you’re a DJ and have visited the Dallas-Fort Worth area, chances are you’ve heard of Danny West. The Los Angeles native has been living in Texas since 2007 where he DJs and books for one of Fort Worth’s biggest clubs, Vee Lounge. 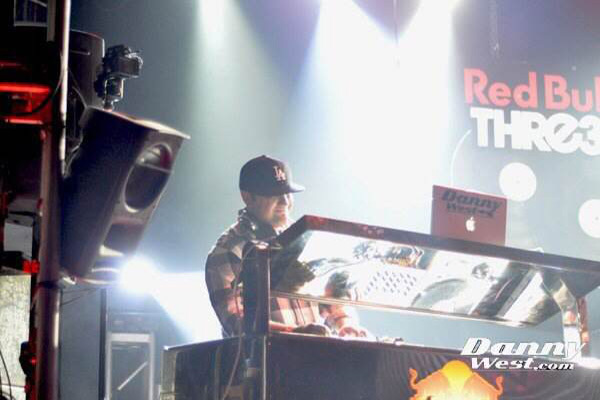 Danny is also DJcity’s South Regional Manager and has a weekly mix show on Pitbull’s Globalization channel on SiriusXM. Needless to say, he’s involved in many aspects of the DJ industry and has great insights to share. For the latest episode of DJ Bounz‘s On Mindset podcast, Danny discusses his role at DJcity, what it’s like booking for a club, having a show on SiriusXM, and more. Stream the interview below or download it on iTunes. DJcity’s Texas Director Danny West returns for his second podcast of the year to drop 30 minutes of new EDM and hip-hop club bangers. West’s selection includes exclusive edits and remixes by DJcity’s in-house producers Mayeda, DJ Smerk, Tall Boys, and Kid Cut Up. DJcity’s Texas ambassador Danny West will be hosting this weekend’s “Jump Off Mix” on Los Angeles’ Power 106. His mix will air Friday, Saturday and Sunday at 5pm PST. This week’s DJcity Podcast is mixed by our Texas director, Danny West. The Fort Worth based-DJ delivers 30 minutes of EDM which includes Dillon Francis’ latest remix.